To train, certify and deploy highly-qualified search dog teams to assist in search, rescue and recovery of the lost and missing, as well as educating the public about safety in outdoor environments. To develop a regional K9 search and rescue team with values anchored in the concepts of collaboration, inclusiveness, distributive leadership and expectations of excellence in all we do. 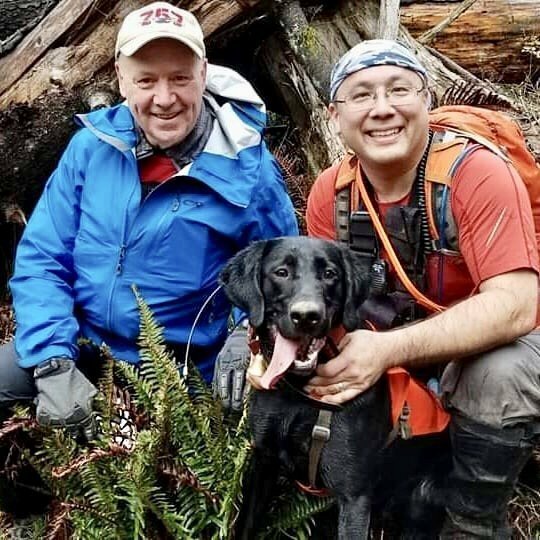 Cascadia Search Dogs was founded by individuals with a passion for search and rescue work. Our team brings many years of experience not only in K9 Search & Rescue, but in ground support as well as operations and planning for large scale missions. We are currently a team of 15 individuals and 10 K9s. Our K9 teams are certified through 3rd party or national evaluations and currently our team members hold certifications in a wide array of disciplines including: Airscent, Avalanche, Human Remains Detection (Crime Scene Level), Human Remains Detection (Land), Disaster, (Live and Deceased), Area with Large Source. We are available to deploy teams wherever needed within Washington State when called by law enforcement of the Department of Emergency Management.